Six months after the Copenhagen climate talks, delegates from more than 190 nations were starting a fresh round of talks in Germany on Monday night. Copenhagen did not deliver a treaty with mandatory targets or a deadline to reduce the planet’s emissions. The UN will table a new text at the Bonn meeting to integrate the Copenhagen Accord into a stronger climate deal. Yeah, good luck with that. Nobody’s really watching any more. Wonder how many Australia is sending at taxpayers’ expense? Figueres, 53, the choice of U.N. Secretary-General Ban Ki-moon, is the first leader of the U.N. climate change secretariat to come from a developing country. She will take over from Dutchman Yvo de Boer from July 1. She beat fellow short-listed candidate Marthinus van Schalkwyk, a former South African environment minister, for a position meant to rally global accord on a successor to the Kyoto Protocol after a disappointing summit in Copenhagen last December. The scale of Figueres’ task is underscored by a Copenhagen summit where 120 world leaders failed to reach a binding deal, pledging instead to mobilize $30 billion from 2010-2012 to help poor countries deal with droughts and floods, and to try to limit warming to less than 2 degrees Celsius. 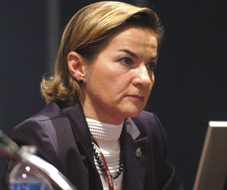 In an interview with Reuters after her appointment, Figueres said the world can salvage a new deal to combat global warming but this was not a priority for 2010. Rich countries must first fulfill their pledges on climate aid, she said. New face, same old story. Yvo de Boer, UN climate change chief, today changed the original date set at last month’s fractious Copenhagen climate summit, saying that it was now a “soft” deadline, which countries could sign up to when they chose [or maybe never – Ed]. “I do not expect everyone to meet the deadline. Countries are not being asked if they want to adhere… but to indicate if they want to be associated [with the Copenhagen accord]. The deadline was intended to be the first test of the “Copenhagen accord”, the weak, three-page document that emerged at the end of the summit, and which fell far short of original expectations. It seeks to bind all countries to a goal of limiting warming to no more than 2C above pre-industrial times and proposes that $100bn a year be provided for poor countries to reduce emissions and adapt to climate change after 2020. But with just 10 days to go, only 20 countries out of 192 have signed up, with many clearly unready or unwilling to put their name to the document. Countries which have signed so far include India, Russia, Mexico, Australia, France and Norway. You can just feel the enthusiasm! Until Mr. Abbott’s election as opposition leader last month, the climate debate in Australia had been conducted in a heretic-hunting, anti-intellectual atmosphere. Prime Minister Kevin Rudd claimed that climate change is the “greatest moral, economic and social challenge of our time.” In clear breach of the great liberal anti-communist Sidney Hook’s rule of controversy—”Before impugning an opponent’s motives, answer his arguments”—Mr. 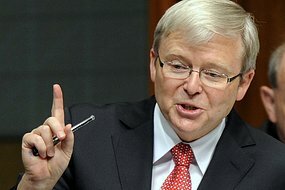 Rudd linked “world government conspiracy theorists” and “climate-change deniers” to “vested interests.” Much of the media, business and scientific establishment deemed it blasphemy that anyone dare question his Labor Party’s grand ambitions. Australians had heard a lot of science, much of it poorly explained. But the “dismal science” had been conspicuously absent from the climate debate. There was very little serious analysis of the economic consequences of climate change: What choices did we have to mitigate its effects, and how much would these choices cost us? 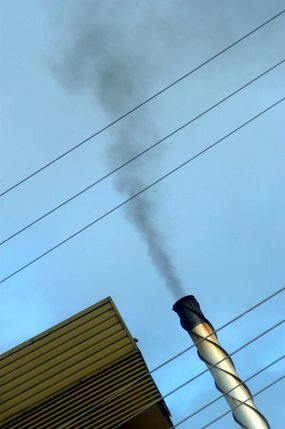 Labor ministers had emitted a lot of hot air about global warming and the urgency with which resource-rich Australia (which accounts for only 1.4% of global emissions) must act. All of this has now utterly changed: Australia’s debate has entered a new phase, one that goes beyond the religious fervor and feel-good gestures that had held sway all too often. Suddenly, political strategists are thinking the unthinkable: far from presaging an electoral debacle that was inevitable under Mr. Abbott’s green predecessor Malcolm Turnbull, the issue could be a godsend for conservatives Down Under. We saw more than 90 per cent of world leaders supporting the Copenhagen Accord on climate change. It was by no means a perfect agreement, as Australia wanted much more, but it was an agreement nonetheless, where the alternative was complete collapse and total inaction. Globally, we’ve agreed for the first time that temperature increases must be kept within two degrees Celsius [Just like that – world leaders agree, and the earth’s climate meekly follows – Ed] and that rich and poor countries alike will bring down their carbon emissions to limit increases in global temperatures. As one of the hottest and driest continents, Australia is experiencing the impact of climate change first, and hardest [No it isn’t. See here – Ed]. We therefore have a deep national interest in global and national action on climate change. If we do not act at home and abroad, we betray both our children’s future [“and our grandchildren’s future” – Ed], and their ability to enjoy our natural wonders, including the Barrier Reef. President Luiz Inacio Lula da Silva has signed a law requiring that Brazil cut greenhouse gas emissions by 39 per cent by 2020, meeting a commitment made at the Copenhagen climate change summit. 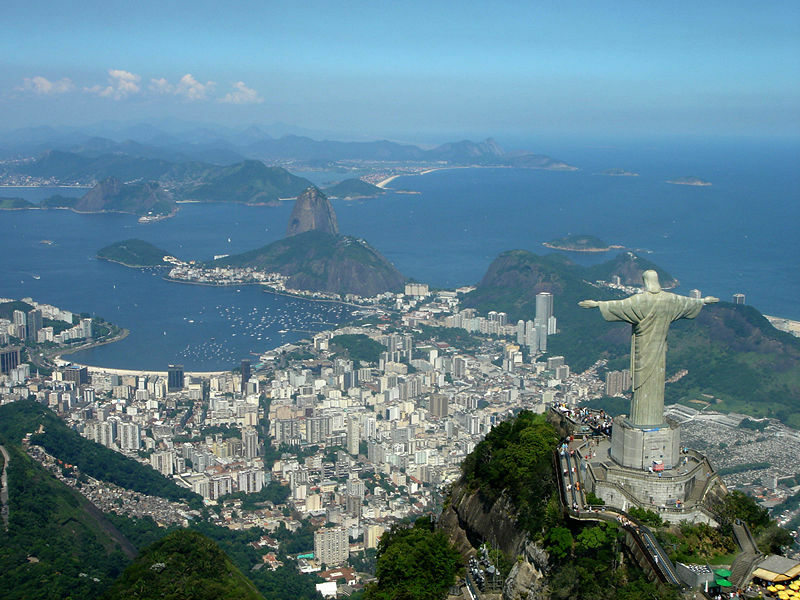 Brazil announced at the summit a “voluntary commitment” to reduce CO2 emissions by between 36.1 and 38.9 per cent in the next 10 years. The new law, however, is subject to several decrees setting out responsibilities and regulations for the farming, industrial, energy and environmental sectors. Lula is expected to sign the decrees in January after consulting scientists and other experts, officials said. Despite its ambitious targets, Greenpeace’s top representative in Brazil, Sergio Leitao, called it merely a list of good intentions and accused Lula of using double standards in environmental issues. 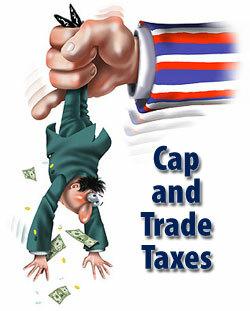 Democrats in the US are “lining up” to argue against Obama’s Cap ‘n’ Trade bill in the wake of the non-existent outcome at Copenhagen. If the US bill is sunk, or watered down significantly, the whole face of global climate action will change radically. Less than ten days after claiming a breakthrough on climate change in Copenhagen President Obama is facing a mutiny from senior Democrats who are imploring him to postpone or even abandon his cap-and-trade Bill. Democratic Senators, fearful of a drubbing in the mid-term elections next year, are lining up to argue for alternatives to the scheme that is the centrepiece of the carbon reduction proposals that Mr Obama hopes to sign into law. With the Congressional battles over Mr Obama’s healthcare reforms fresh in their memory senior Democrats are asking the Administration to postpone the next big climate change push until at least 2011. Senators from Louisiana, Indiana, Nebraska and North Dakota, some with powerful energy companies among their constituents, are falling out of love with the idea of a large-scale cap-and-trade scheme — which seeks to allocate tradeable permits to major polluters — in favour of less ambitious proposals that put jobs and the economy first. Each of their Senate votes is vital for any climate change Bill to have a chance of being passed, and a firm American commitment to cap and trade is essential for similar carbon reduction mechanisms to be effective on a global scale.